I know, I know, black bean brownies are so 2011. To be honest, it took me 6 years to overcome my skepticism of the health trend. The first recipe I followed required cocoa powder and chocolate chips. Cocoa powder with some added chocolate chips seemed to be the common recipe across many food blogs, but to my dismay, came out a tad rubbery for my liking. I decided to come up with a better recipe that didn’t require the help from chocolate chips, which for the most part contain refined sugar. My recipe for black bean brownies are made with unsweetened chocolate, and uses pure maple syrup as its sweetener. This resulted in a soft, rich, fudgy brownie that happens to be good for you as well. 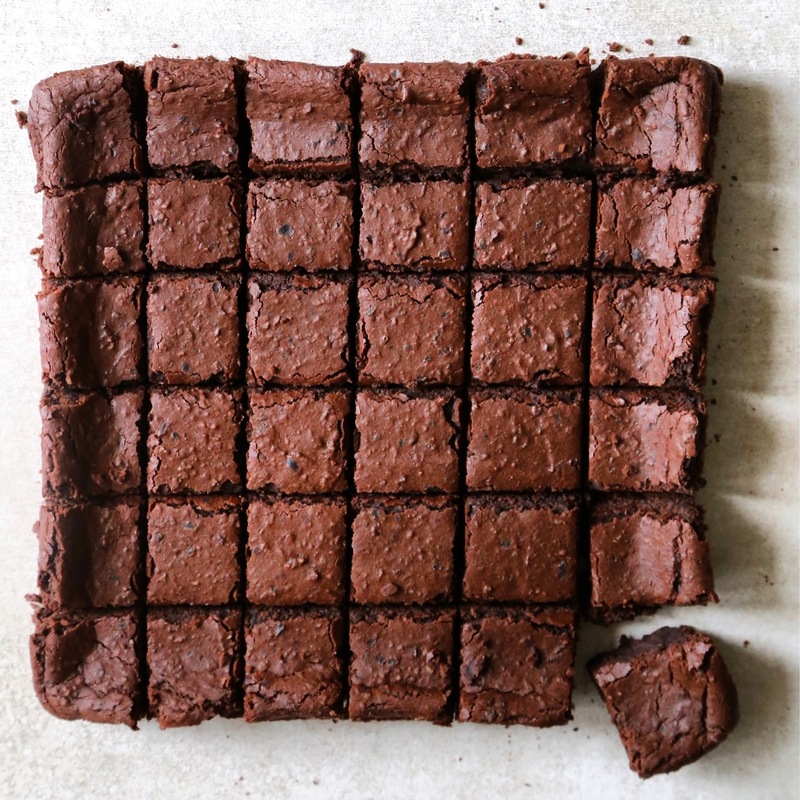 This is a great recipe to have on hand to tame your chocolate brownie cravings, an addiction I am very familiar with. Preheat oven to 350 F. Line both sides of a 8” x 8” square cake pan with enough parchment paper to provide handles for easy removal. Melt the chocolate and coconut oil in a glass bowl in the microwave for 1 1/2 to 2 minutes. Stir until all of the chocolate is melted. Place all of the ingredients but the baking powder in a food processor and process until smooth. Add the baking powder process until mixed. Pour brownie mixture into cake pan and smooth top. Bake for 25- 30 minutes. Allow to cool for 20 minutes before cutting. Brownies will firm up in the fridge. They can be stored in the fridge for a week. This entry was posted in Dessert and tagged black bean brownie, gluten-free, plant food, Vegan. Bookmark the permalink.